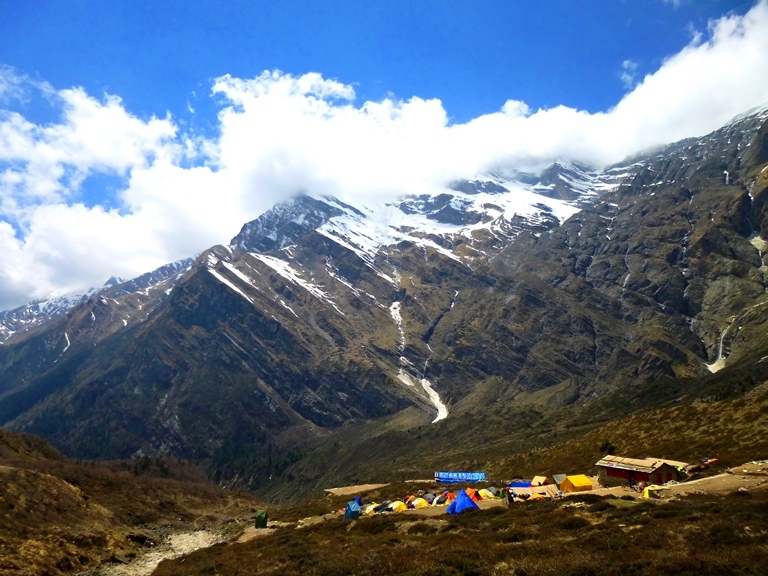 This Trekking region in Nepal is for the more adventurous traveler, someone who is interested in going off the beaten path and loves a challenge. 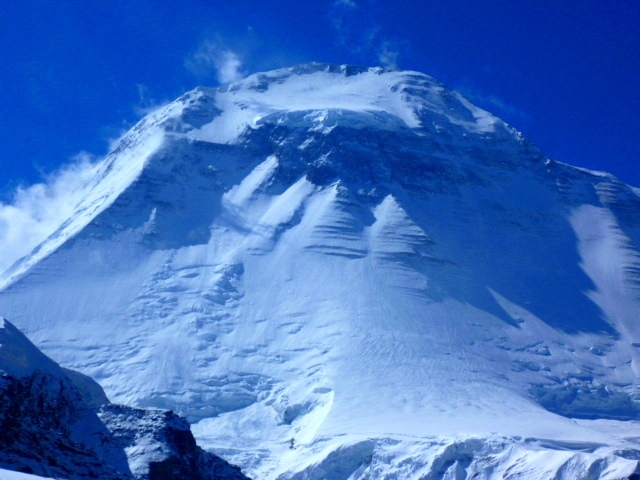 Geographically, the Dhaulagiri region is a steep slope with snow-caped Himalayan peaks, including Mt. 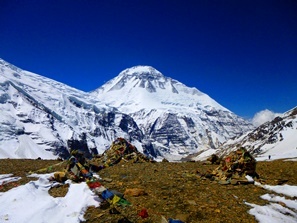 Dhaulagiri, which is the sixth highest peak of Nepal and the world’s seventh highest mountain. The peak sits high above the popular religious and trekking site of Muktinath, with ferns and forests of Oak and other deciduous trees and juniper forest. The rhododendron forest and many species of flowers are also abundantly found on the trail. Tiny alpine flowers are found dotting the windswept ground even in the high mountain passes above the tree line. 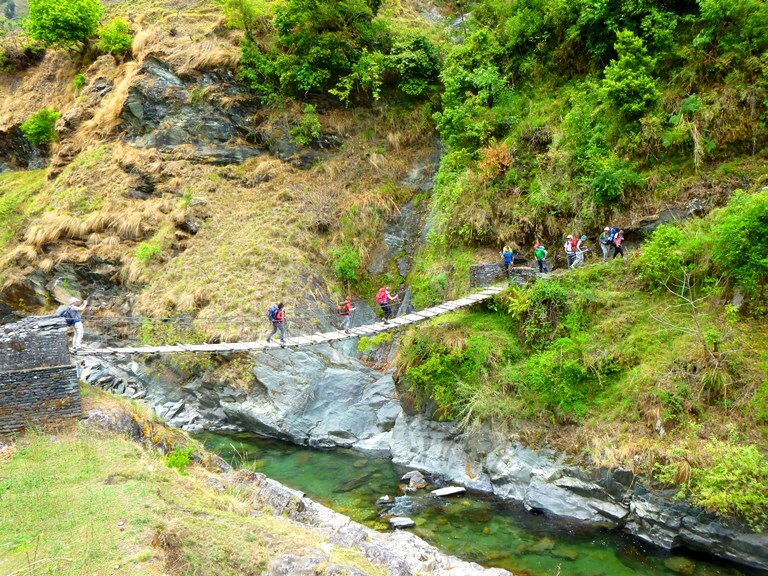 This trek explores Nepalese lifestyles, trekking through glaciers, challenging high Himalayan passes, and panoramic views of some of the great Himalayan peaks.The Annapurna circuit trek entices trekkers with dramatic mountains and glaciers, including one of the world’s 14 highest peaks, Annapurna(8,901m/26,545ft). After you have cleared immigration and customs you will be met by our team and transferred to your hotel. You will have free time to relax and enjoy yourself. After breakfast we begin a guided tour of Pashpatinath, Bhouda Stupa, Swyamboudh Stupa and Kathmandu Durbar Square. After lunch we have a pre trip briefing. After this there is time for last minute shopping items etc. This day is used by our representatives to finalize official procedures etc. Drive to Beni. This is a pleasant journey through some beautiful scenery. It will take approximately 8-9hrs. Trek Beni to Babichaur (1,565m/5,135ft) (6-7hrs). We trek along the Kali Gandaki River toward the Myagadi Khola. We cross suspension bridges, walk through the villages of Mangalghat, Singa and Tatopani before reaching our final destination of Babichour. Babichaur to Dharapani (1,565m/5,135ft) (6-7hrs). 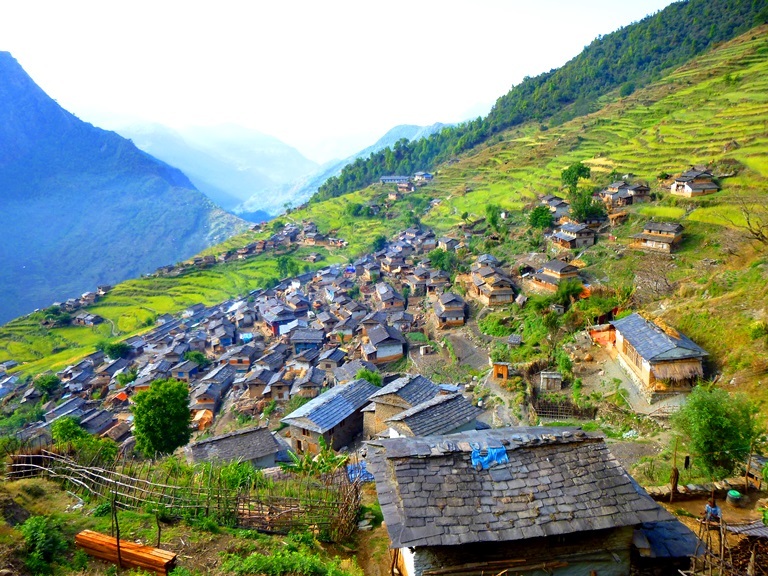 We trek through terraced hillsides and villages. Dharapani to Muri (1,850m/6,070ft) (6-7hrs). Today the path is steep uphill to Muri. The views of Dhaulagiri and other peaks is spectacular. Muri to Boghara (2,630m/8,629ft) (7-8hrs). Today the trek is fairly easy downhill much of the way until we reach Phedi and then there is a steep incline to Boghara. Boghara to Dhoban (2,630m/8,629ft) (6-7hrs). The trail today is quite difficult and we will need the help of ropes. The path descends to a small ridge and crosses through a forest to Jyarden. We then cross a rocky trail before reaching Dhoban. 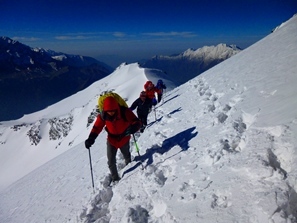 Dhoban to Italian Base Camp (3,500m/11,483ft) (6-7hrs). We walk through beautiful forest and enjoy spectacular mountain views. We rapidly gain altitude today and it is important to take our time and make sure we are well hydrated. 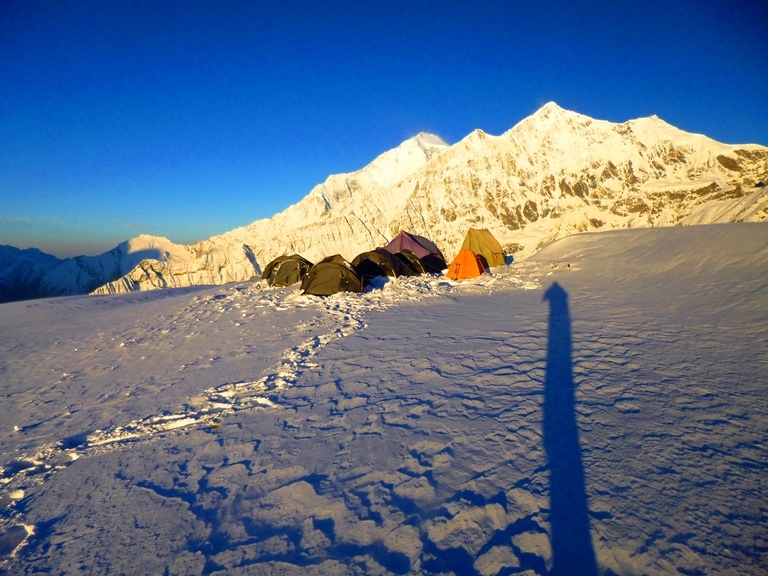 We camp just in front of the west wall of Dhaulagiri. Rest and acclimatization day. It is essential to acclimatize before continuing onward. We can take some light exercise and walking, before taking some rest. 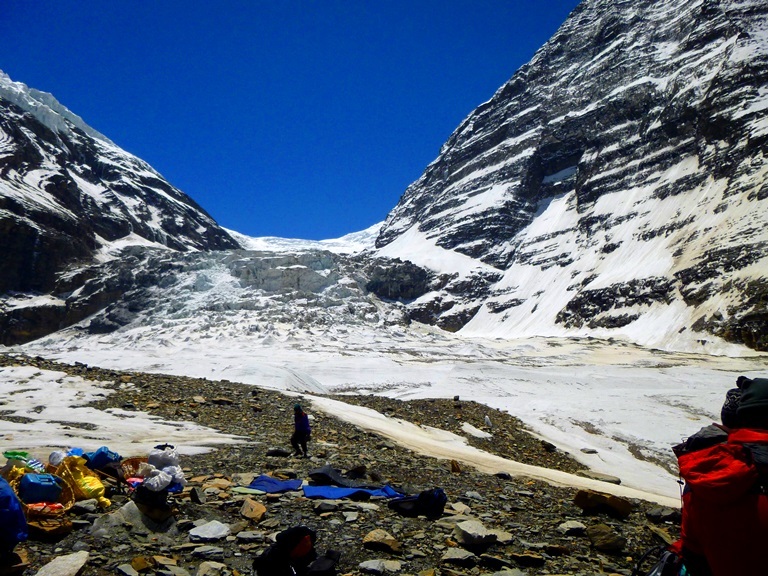 Italian Base Camp to Glacier Camp (4,250m/13,944ft) (5hrs). After crossing the first glacier where it is necessary to use ropes in a couple of difficult places, we climb onto the main glacier. The surroundings are spectacular and make up for the dangerous and rough trail where again it is necessary to use ropes. 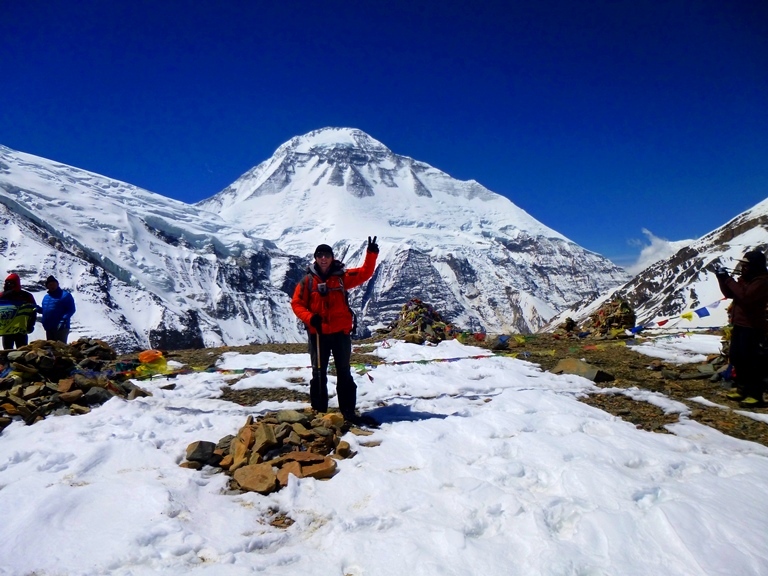 Dhaulagiri Base Camp (4,650m/15,256ft) (4hrs). The rough rubble of late gives way to smooth ice of the white part of the glacier. 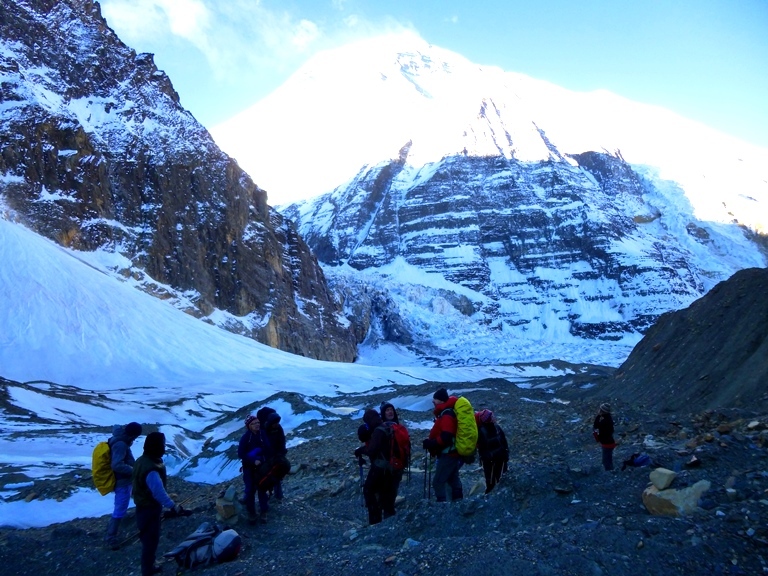 We climb steadily to the Dhaulagiri Base Camp enjoying magnificent views of the north face of Dhaulagiri I on the way. Acclimatization day. Again light exercise and walking is good today. Over the next few days we will be at altitudes between 5,000m and 6,000m (16,404 ft and 19,685ft), therefore this day is essential for our acclimatization. Dhaulagiri Base Camp to French Col (4hrs). This is a tough day. Again it is highly likely that ropes will be necessary. Once off the glacier and over the steep moraine the going gets easier and we are in safer gentler territory after a breathless climb to French Col.
French Col to Hidden Valley Camp (5,000m/16,404ft). 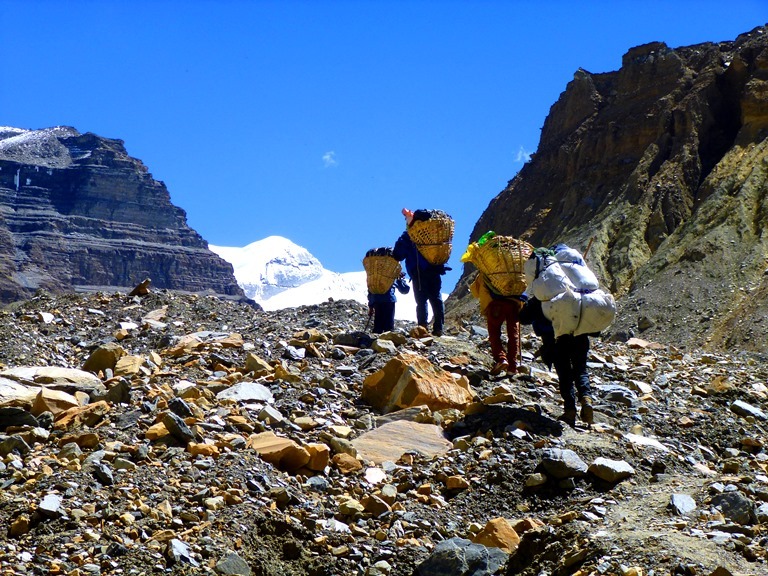 We take the opportunity to enjoy the surrounding peaks and acclimatize. Hidden Valley Camp to Yak Kharka (4,200m/13,780ft) (6hrs). 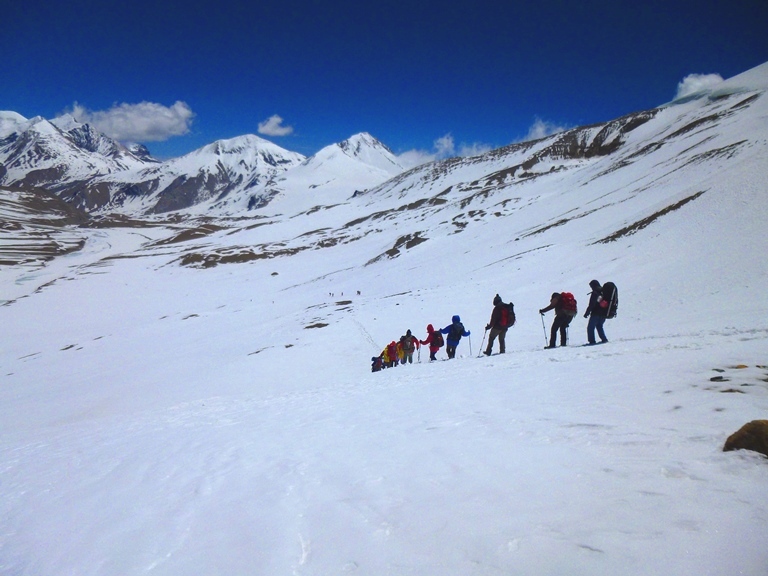 After crossing the Thapa pass (5,200m/17,060ft) We traverse avalanche prone slopes and descend steeply to Yak Kharka. Yak Kharka to Jomsom (2,715m/8,907ft) (7-8hrs) Today we again have a steep descent into Marpha, famous for apple and apricot brandies, where we enjoy lunch. After lunch we continue to walk on to Jomsom. Jomsom to Tatopani by jeep. Here it is possible to enjoy the famous hot springs. It is possible to fly from Jomsom to Pokhara (however, flights are not included). Tatopani to Pokhara by road. If you choose to fly from Jomsom, then you would have free time in Pokhara. Celebratory meal with your team in Pokhara. Pokhara to Kathmandu by road. Free time in Kathmandu. Transfer to Tribhuvan airport for onward journey. Does this information on the Dhaulagiri Trek excite you to take the next step towards achieving your goals in the mountains? If so, get in touch today. We pride ourselves on making sure that our clients have every opportunity to succeed on the mountains, including professional training advice, gear lists and video links on how to pack your bag, and much more. We are always available to answer any questions you may have by email, phone or skype, so contact us today!